How to Create a Care Binder. One thing is for sure, our kids generate a ton of paperwork and files. It’s overwhelming at times, isn’t it? I think I can reasonably consider myself a Type A, organized sort of person. But even Kevin’s stuff gets the best of me sometimes. Right now I’m struggling because I have to find some kind of “proof” that shows he is disabled. I know I have at least two separate letters from physicians, but of course, I cannot find them. On my list of things to do this year is his Care Binder. My system right now is more of a “Care Dump Box.” I put all the important stuff in various file folders and then they go in this box. Problem is, every time I need something, I have to sort through the entire box. Then sometimes I think, “what if there’s a fire?” I don’t have just one binder to grab and go in case of an emergency. 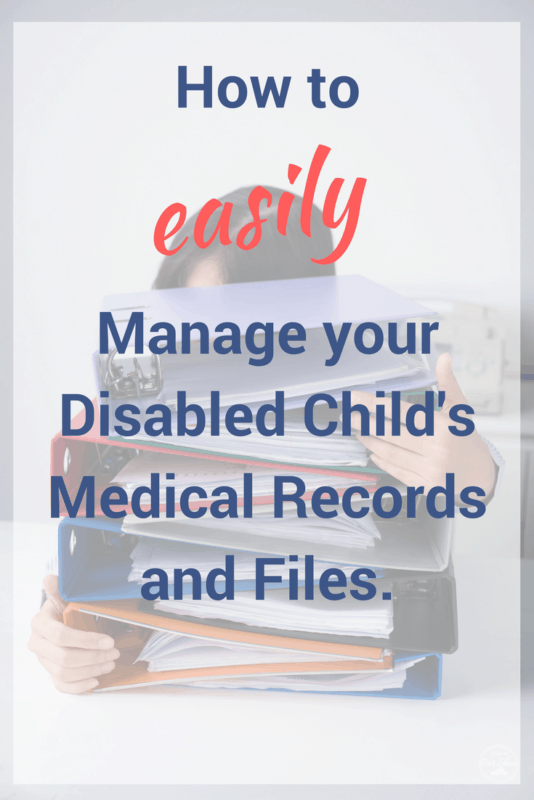 The reasons to create a care binder for your disabled child are endless. So you can get respite care. For starters, sort through the links below and figure out what you want. That will take time as each Care Binder resource has several different options to choose from. You have to pick what suits your needs. Look at what you have. 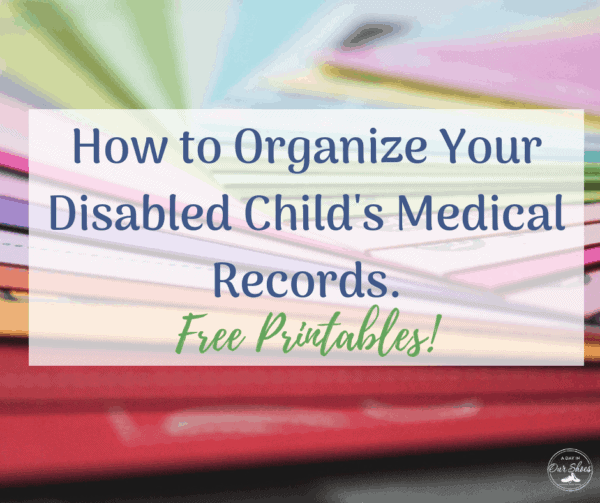 Match up the printables with your child’s records. I personally only throw out duplicates of things. I keep things that are not particularly important in a separate box. That way I know I have it, but it doesn’t all have to be right at my fingertips. Buy what I need, if I don’t have it at home. A bigger binder, better file folders, sheet covers…I’m going to do this right! 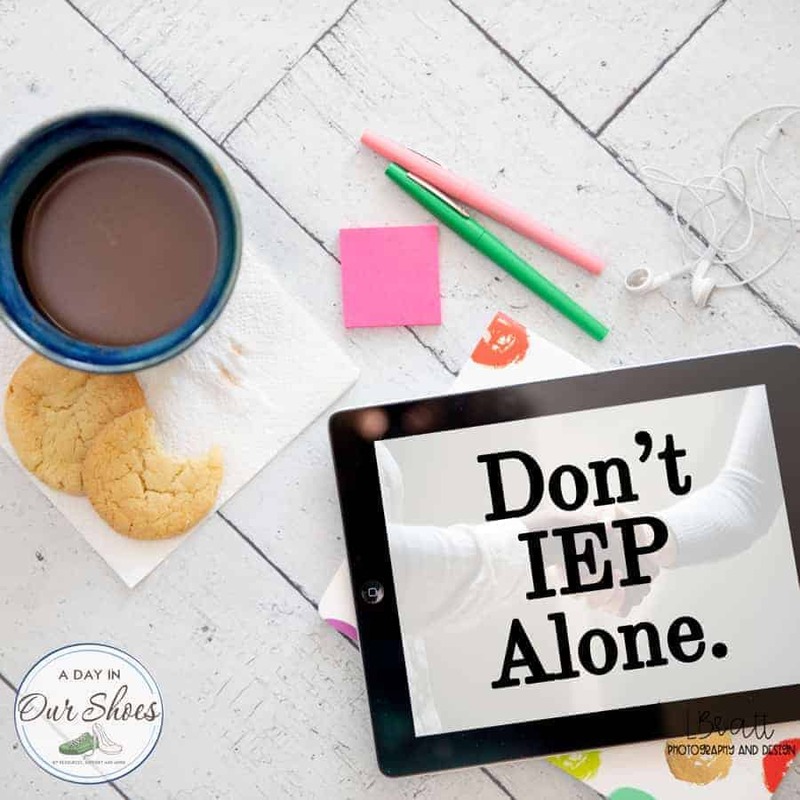 Don’t forget the IEP paperwork! This system helps parents be better advocates. Click to get the IEP organizer for just $0.99! Numbered so that you can keep track of which ones you like best before printing. « The Extraordinary Burden of IEPs on Moms.